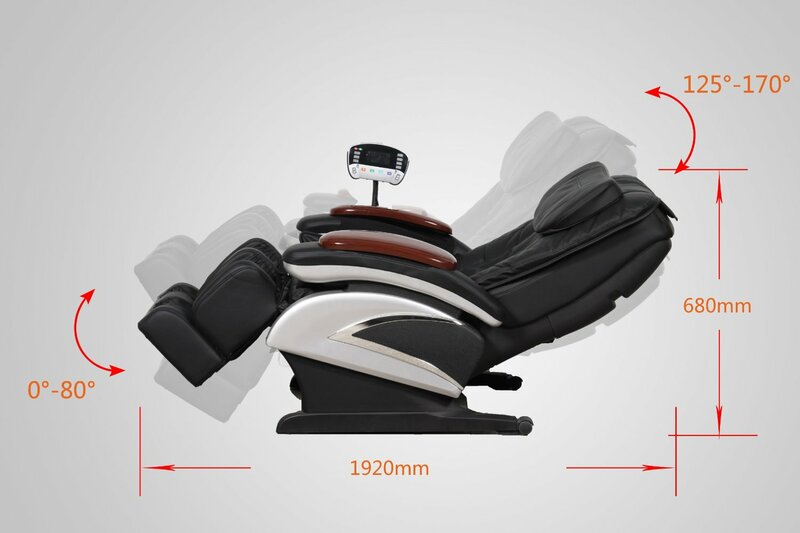 We’ve been using the Best Massage EC-06C massage chair for about 5 months now. I haven’t actually recorded the time spent using the chair, but I’d estimate it being around 25-30 hours thus far. I’m happy to report that it hasn’t skipped a beat and continues to function the same as it did on day one. Another huge plus: I haven’t been to the massage therapist in a long time. Just thinking about the potential savings… $75/hour + $20/tip x 25 hours = $2375. That’s pretty significant. I’d say the chair has more than paid for itself and will continue to reward with savings. I’ll be posting pictures from the setup and installation next. hows it holding up now that its almost a year? How strong is the massage? Can you do manual selection of massage types? Hi Sid, it’s still holding up with no problems after a year. There’s no signs of wear, it still looks pretty much new. The massage is strong — the more you recline, the more weight you put on the rollers and might be a little painful (although, it’s a good pain) until you get used to it. You can adjust the strength (speed) of the rollers as well. The air bags (can be set to one of four intensity levels) on your calves at full intensity can also be painful (again, a good pain) until you get used to it. You can select a programmed massage or you can set it to fully manual. If you set it to manual, you can set the roller massage type (kneading, rolling, tapping, etc), roller strength, roller position (upper, mid, lower, or one position), air bag massage areas (feet, calves, thighs, and/or arms), and air bag intensity. I still recommend the chair. Hope this helps. How can I find a manual to show me how to use the program or settings? I would like to know the same thing. Let me know please if you find out and I will also. I just got mine set up today. I have had 2 cervical and 3 Lumbar back surgeries, it hurts full strength. I need a manual also. Can you turn just the heat on? does the heat get the middle of the lower back? Can you turn the heat on all by itself? Without any of the massage programs running? I’m not sure, I’ve never tried. There’s no heat in the middle of the back — just the sides. Hey Mike, the massage chair is still going strong. No problems yet! That’s a pretty good deal! It’s an artificial leather. No problems with wear so far. Is the chair easy to sit in if I’m using it for just watching TV? Or is the foot area cumbersome just wanted to know? It’s easy to watch TV unless you recline too much obviously. The foot area doesn’t really get in the way of anything, and you can turn the foot and calf air bags off. Does anyone know where to get parts for this chair if something breaks? I checked COMTEK who seems to be the original manufacturer from China but nobody returned my email. I’m not sure where to get parts. I agree with your concern and am afraid of it breaking. So far so good though! The arm massager looks quite different than any other chair I’ve seen. I tried an Osaki 4000 and my arms did not fit very good I could only fit my hand and about 6 inches past my wrist. I felt really smashed in that chair it was not comfortable at all. I am 6′ 4″ tall but my arms are not really that thick. how big in diameter do you assume would fit? does it give a pretty strong massage? most peoples hands are not strong enough to penetrate my petrified tired muscles lol. One of these chairs would be Heaven sent ! The arm size is probably the similar as the Osaki 4000. My arms aren’t very thick either, and when the airbags inflate, they basically push my arms out unless I’m pushing back. I usually turn the arm air bags off or put my hands in the middle of them. Thanks Anthony , your review is great ! helped me alot .